We'll be performing at Strumarama at the Prince of Wales in St Kilda on Wednesday 11th December. 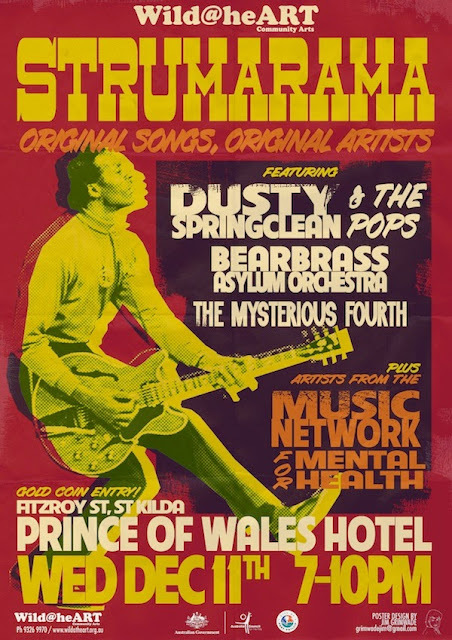 Strumarama is a fabulous night of all original music run by the Music Network for Mental Health and Wild@heART. Also on the bill are Heidi Everett (who you may have heard if you saw us at Fed Square last week), Dusty Springclean and the Pops and The Mysterious Fourth.